We spend a lot of time talking about health insurance and life insurance, but what about car insurance? Who’s going to pay for repairs on that "remodeled" SUV when your teenager accidentally drives it through the garage door? Or what if your uncle forgets to put your car in park and it rolls into the neighbor’s brand-new convertible? Would you be covered, or would you have an angry neighbor and a financial mess on your hands? Whether you drive a nice car or a beater, you want to make sure you’re covered in case life decides to hit you . . . or your car. To protect yourself, it’s important to know the types of insurance, how car insurance works, and how much car insurance you really need! But, before we talk about the difference between basic, extended and premium auto insurance options—and which ones are right for you—let’s cover some basic insurance terms. The deductible is the portion of the damages you’ll have to pay for before your coverage kicks in. Let’s say you have a fender bender and the repairs cost $2,500. If your deductible is $500, all you have to pay toward that repair is $500. Insurance would cover the remaining $2,000. Auto insurance deductibles typically apply per claim. So, if you have another fender bender two months later, you’ll have to pay your deductible again. But, in most cases, $500 is a steal compared to what could potentially have to come out of your pocket! On the other hand, if you have a $1,000 deductible and only need $750 worth of repairs, you’re responsible for the entire amount because the repair cost doesn’t exceed your deductible. You will likely have two different deductibles under your auto insurance policy—one for collision and one for comprehensive coverage. A car insurance premium is simply the dollar amount you pay for your coverage. Depending on your insurance company, you may pay monthly, quarterly, semiannually or even annually. Car insurance premiums can vary based on things like your deductible, your age, the make and age of your car, your driving history, and the type of insurance you purchase. Your coverage limit is the maximum amount your policy will pay for each type of coverage you have. Work with your agent to make sure you have the maximum amount of coverage. If you exceed your policy’s limits, you’ll be responsible for any remaining costs. 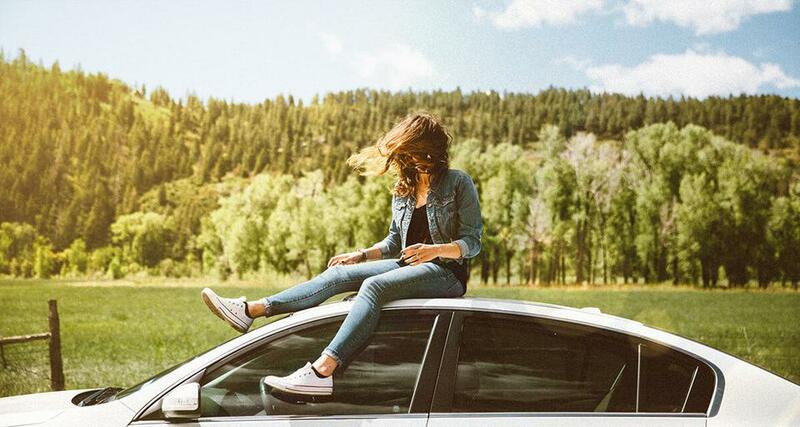 How to Save Money on Teen Car Insurance Car Insurance: What to Have and When to Have It The Sneaky Secret Behind Your Auto Insurance Loyalty Discount Should You Buy Rental Car Insurance? Though liability coverage doesn’t protect you or your car, it does protect your wallet! If you’re in an accident that’s deemed "your fault," liability insurance covers third-party costs you’d typically be responsible for—medical or auto-repair costs that others might sustain due to the accident. So how much liability insurance should you have? That can be answered in two words—a lot! Even if your state doesn’t require liability insurance, it’s a good idea to have at least $500,000 worth of coverage that encompasses both types of liability coverage—property damage liability and bodily injury liability. That way you’re covered for costs related to getting the other driver’s car fixed (property damage) as well as costs related to their lost wages or medical bills (bodily injury) that resulted from an accident where you’re at fault. Without liability coverage, you would be responsible for paying the other driver’s property damage and bodily injury costs out of your pocket. That could put you at serious risk financially—and potentially even cause your future wages to be garnished until the damages are paid. No matter what kind of car you drive, liability auto insurance is a definite must-have. How Does My Car Insurance Coverage Break Down? When looking at your auto insurance coverage limits, you may see something like $250,000/$500,000/$250,000 or 250/500/250 for your liability coverage. Remember that hail storm last year that left a lasting impression on the hood of your car? Or that time your car wasn’t where you parked it because someone else decided to claim it as their own? With comprehensive coverage, you’re covered! Whether it’s theft or damage from a fire, a storm, a natural disaster, or even a limb falling on your car, comprehensive coverage will pay to replace or repair your car as long as the damage isn’t due to a collision. Like liability insurance, comprehensive coverage is inexpensive—so you’ll want to have it whether you’re driving a beater or a brand-new car. Whether it’s the kids screaming in the back seat that makes you hit the brakes a second too late or the black ice that turns your sedan into a slip and slide . . . accidents happen. The good news is, no matter who is at fault, collision coverage pays to repair or replace your car if you’re in an accident with another vehicle, object, or even yourself. Let’s say your car is totaled in a wreck that happens to be your fault. The other driver’s liability coverage (if they even have it) won’t pay for your car repairs because they’re not "liable" (at fault) for the wreck—you are. Without collision coverage, you’d have to pay out of pocket to repair or replace your own car. Ouch! You may be tempted to skip out on collision coverage to save money if you drive a beater, but can you really afford to? If you’re planning to retire your beater to the junkyard and have enough savings to replace it, opting out of collision coverage may be the right move for you. To be safe, make sure to consult with an independent insurance agent to find out if skipping collision coverage is a risk you can afford to take. So now that you have your basic auto insurance covered, what about an extra layer of protection? You’ll find plenty of options for extended auto insurance coverage, but do you really need them? For the most part, a healthy emergency fund is a better option than paying for extended coverage you may never use. 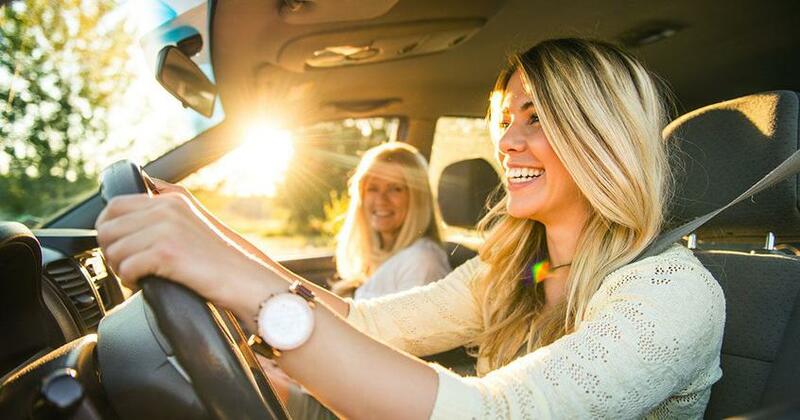 Whether you’re covered by health insurance or not, Medical Expenses Coverage (MedPay) covers reasonable medical expenses for you, your passengers or any family members associated with an auto accident—no matter who’s at fault. Required in over 15 states—and unavailable in others—Personal Injury Protection (PIP) is similar to MedPay but has more comprehensive coverage, higher coverage limits, and a higher premium. (4) Unlike MedPay, though, PIP generally has a deductible. Though it varies state to state, PIP usually offers immediate non-taxable coverage up to the threshold set by your auto insurance and would need to be exhausted before you have to tap into MedPay or your own health insurance policy. But if PIP isn’t required in your state, you can probably skip it—and avoid paying for additional medical coverage that could significantly raise your premium. Just make sure that, in addition to your health insurance, you have long-term disability coverage and a fully funded emergency fund. With the cost of new cars continuing to climb, the average length of a car loan has expanded to six years or more, making GAP insurance more popular than ever. (5) Let’s pretend you had a momentary loss of all good sense and, instead of paying cash, you financed a brand-new SUV. If you got into an accident as you pulled out of the dealership’s lot, collision and comprehensive insurance would only cover the actual market value of the SUV. That means you’d be responsible for up to 25% of the SUV’s value that you lost the second you drove it off the car lot. (6) Yikes! GAP insurance would fill in the "gap" by covering not only the newly reduced market value of your SUV, but also the remainder of what you still owe on it. Our recommendation? Skip GAP insurance and save yourself a financial headache by buying a used car with CASH. If you already have a car loan, make it your goal to pay it off as quickly as possible so you can drop the GAP coverage and lower your premium. Occasionally you’ll find Uninsured Motorist Property Damage, or UMPD, packaged with UM and UIM. Though it usually has a lower deductible than collision coverage, you probably don’t need both UMPD and collision coverage since they essentially perform the same function. If UM, UIM and UMPD coverages aren’t required by your state, they’re likely not something you need to add to your auto insurance policy if you already have health insurance and collision coverage in place. Though it comes with all the bells and whistles, premium auto insurance coverage may also come at a premium cost. 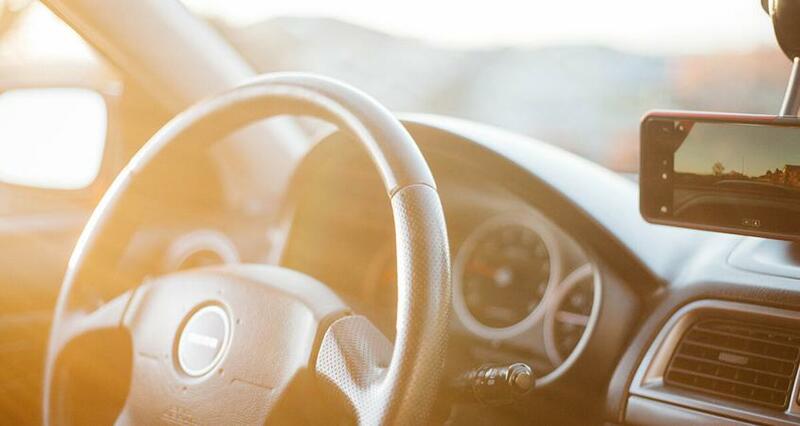 Here are some of the most common types of optional premium auto insurance coverage and how they may or may not be a good fit for you. If you’re on a first-name basis with your mechanic, you may be tempted to sign up for Mechanical Breakdown insurance because it allows you to choose where your car is repaired, as long as the mechanic is licensed. Our advice? Save your money and skip this coverage. If you still want to use your favorite mechanic, use your emergency fund to pay for emergency repairs—that’s what it’s there for! So how exactly do you make do without a car after an accident? Who’s going to pick up the kids from school or take you to work the next day? That’s where Rental Reimbursement coverage was designed to come in. It covers the cost of a rental car (up to a specific dollar amount and number of days) while your car is being repaired for any damages covered by your insurance. If your car tends to sit in the garage collecting dust, you may be interested in Pay-Per-Mile coverage. With this coverage, a GPS device is installed in your car so you’re billed per mile, rather than an annual estimate. For drivers who don’t put a lot of miles on their car, this could be a real money saver! Remember that time you coasted down the interstate on empty, praying you’d make it to the closest gas station? Or that time you hit a pothole and were left with two flat tires? With Roadside Assistance coverage, you’d be covered. This covers having fuel brought to you, getting your battery jumped, having your car towed to the nearest repair shop, or fixing a dead battery. It’s helpful coverage to have in case you find yourself in a pinch! You may be wondering, Why would I purchase an umbrella liability policy if I already have liability insurance? Umbrella insurance (or personal liability insurance) is an extra layer of liability coverage that kicks in after you’ve met the limits of your current policy. Coverage is typically available from $1 million to $5 million. In addition to protecting your assets and paying for any damages you’re legally responsible for in the event of an accident, umbrella insurance normally offers a wider form of protection than liability insurance for things like legal fees, false arrests and even slander. If your net worth is $500K or above, umbrella insurance is an absolute MUST to protect your assets! If you’ve permanently installed "aftermarket" or "performance" parts on your car, you could carry Custom Equipment coverage to help repair or replace enhancements like custom running boards, stereo systems, or even a custom paint job. To save money, insurance companies often use "aftermarket" parts when they replace or repair parts on your vehicle. OEM Endorsement coverage ensures OEM (Original Equipment Manufacturer) parts—the same parts your manufacturer safety tested and used to originally build your vehicle—are used on your car. Did you know that just one at-fault accident can cause your insurance premiums to increase an average of 41%? (10) Though Forgiveness coverage may not be able to turn back time and undo an accident, it can essentially wipe your slate clean by "forgiving" your first at-fault accident. Depending on your insurance company, this coverage may only apply once per policy term, or it may take years of safe driving to go into effect. If you live next to a golf course, you may have found yourself wishing you had glass coverage to pay for the cost of fixing or replacing the windows on your car. Some insurance companies offer glass coverage with no deductible, but the cost of the added coverage may outweigh the benefits, especially with some policies only covering the windshield. Our advice? Park your car in the garage and save yourself the extra money for coverage you probably don’t need! Should I Choose a High or a Low Deductible—Which One Is Right for Me? Now that you know what a deductible is, it’s time to determine if you can afford yours. If you choose a high deductible, your insurance company looks at you as a lower risk and will reward you with a lower premium. If you choose a low deductible, your premium will be higher because you represent a greater risk to the insurance company. We recommend a $1,000 deductible because that usually means you’ll pay a lower premium. And since the first Baby Step is to save up a $1,000 emergency fund, you’ll have the savings on hand to cover your deductible. Before you sign up for a $1,000 deductible, however, work with your insurance agent to make sure it’s worth the extra risk by conducting a break-even analysis as you compare rates. By raising your deductible from $500 to $1,000, for example, you increase your risk by $500. If that reduces your annual premium by $50, you’ll have to go 10 years without an accident to break even—not a great deal. But, if increasing your deductible knocks $150 off your annual premium, you’ll break even in just over three years, which makes more sense. What About a Disappearing Deductible? Some insurance companies offer "disappearing deductibles" at an additional cost for drivers with a long history of safe driving. The deductible decreases every year you’re accident free. What’s important to remember is that the deductible reappears in full the second you get into an accident. According to one of our Endorsed Local Providers, Brandon Smith, "A good rule of thumb is to insure for what could financially devastate you, rather than what inconveniences you." So, a disappearing deductible may not be the reward it claims to be. Factoring in the cost of the coverage, you are better off saving that money to put toward your debt snowball or emergency fund. If your car needs $250 worth of work thanks to a fender bender, should you file a claim? Isn’t that what you have car insurance for? Yes . . . and no. Frequent small claims are red flags that could cause your premium to go up. Plus, if you have a $1,000 deductible on a repair that costs $250, it doesn’t make sense to file the claim. Your emergency fund is there for a reason! Pick your battles carefully and file a claim only when it makes sense. Countless factors affect the type of insurance you need and the premium you’ll pay. Below is a list of key information your insurance agent needs to know to not only pick the right policies for you, but to also save you some hard-earned money in the long run! If you’re married—it could help lower your premium! If you use your car for both business and personal use, even if it’s a small side business. If you plan to travel out of state frequently. If you have a teen driver who makes good grades or has completed Driver’s Education. Who exactly you want included on your policy. If you have a college degree—some carriers will give you a discounted rate. If your car is leased, or if you still owe money on it. If you own a home—it could qualify you for a discount. Your occupation and the occupations of others on your policy, or if you are or have been in the military—you may qualify for a discount. If you park your car in a garage—it may qualify you for a discount on comprehensive insurance. If you have any anti-theft devices installed in your car. If you’d prefer to get paperless statements—it may qualify you for an additional discount. If you want any household members excluded from your policy. With so many variables surrounding the types of car insurance available, it’s easy to spend more money than your coverage is worth. To make the right choice you need an expert who can answer your questions, run the numbers, and help you compare rates. Dave’s independent insurance Endorsed Local Providers (ELPs) are professionals who work with several insurance companies to help you find the right coverage at the right price. Make sure you and your family have the coverage you need to protect you and your car. Find your ELP today!